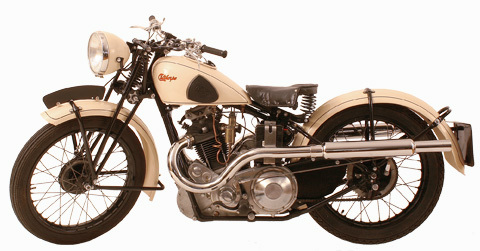 This Birmingham firm began production in 1911 with a 211cc two-stroke motorcycle. 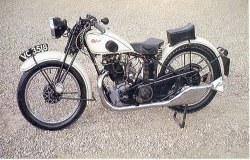 Calthorpes were always inexpensive motorcycles which often led to the factory being on the brink of closure. Nevertheless from 1922 they mounted their own engines and the Ivory series were popular before the firm closed at the outbreak of war in 1939. They went into liquidation and the company were purchased by Bruce Douglas, a member of the British Douglas family. Unfortunately, before the name could be revived the commencement of WWII stopped production and thereafter the name disappeared. 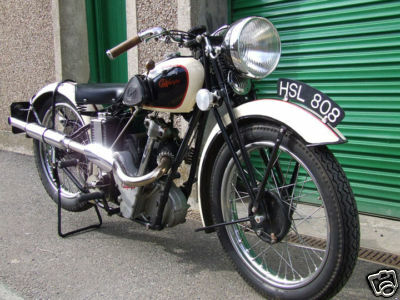 The Calthorpe factory restyled their machines in 1928 adopting an ivory coloured paint scheme for their tank and mudguards, hence the ivory prefix to their product name. 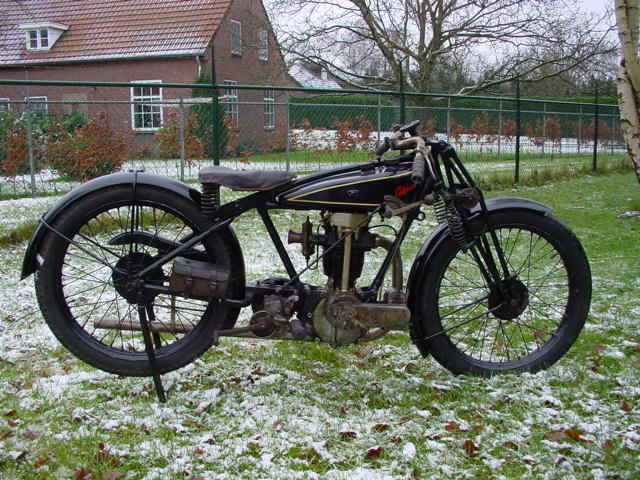 The factory was never a strong contender on the racing scene but nevertheless they made a range of solid well-engineered products during the first half on the 1930s. Their last appearance at Earls Court was in 1934 where they displayed models in 250, 350 and 500cc capacities. 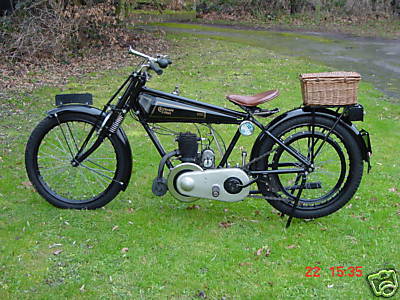 The period following the end of hostilities in November 1918 through to 1922 was marked by a surge in demand for motorised transport. Service in the forces had exposed a large percentage of the populace to mechanised transport for the first time, whilst companies with production capacity laying idle were quick to recognise the potential market and exploit it with lightweight machines. Quality varied considerably, however, the Calthorpe concern became known for producing a high quality product which built up an enviable reputation. 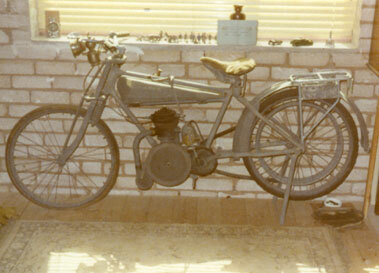 1922 Calthorpe 272cc. Classic Flat Tanker.